Editor’s Note: Admittedly, Fox News is not my favorite news organization. This video of an interview on Fox is pretty good and Republican Representative Mark Kirk from Illinois gives a pretty solid perspective of some of the debate that are happening in Washington and globally about the U.S. dollar and China as our largest creditor. The omission that China is going to buy $80 billion in gold bullion says a lot about their inflation expectations in itself. To put that into perspective, if you purchased that amount a current price ($920.00/oz. ), that would equal 2,717 tonnes of gold bullion. According to the World Gold Council, that would outstrip an entire years mining production for the entire globe. If that is not some indication about our current situation and what is expected for inflation, than what else do we need? Enjoy the video. 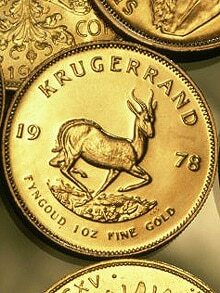 No doubt, in times of currency devaluation, gold asserts itself as a store of wealth and a secondary reserve currency. I have followed this sector and it is following the 7 year bull trend that gold has shown. It looks like between now and the end of next week, gold will make another shot to top $1,000/oz. Time to protect your wealth before is gets debased through all our bailout and stimulus activity. The prospects for equity markets and numerous sector indexes have dimmed during the global recession, but gold and the companies that mine it have not lost their luster. With gold prices nudging their all-time high and energy and other costs falling, mining company profit margins are widening, making their shares attractive, analysts said on Thursday. Historically, gold is the safe haven investment from financial and political instability. Yes, it does not pay interest and that is why in our modern world, it seems to be shunned at every possible turn. The failing, is that people don’t seem to understand that it is a store of value (wealth) and that is its natural role and has been for at least 6,000 years or more. Gold does not have any built in liability to anyone, it is rare and it takes work to get out of the ground. All of these make it so no matter what happens in the real world, no one will be able to tell someone that their gold is worthless and that is what makes it such a great store of wealth. With the type of fiscal policies government across the globe are running, it should be no surprise that people are looking for this type of safety. Well we have seen a tremendous amount of money issuing taking place to try to save a reckless financial system in the United States . At some point this amount of currency will have to come to bear in the real market. People are calling for deflation everyday and to a point this is correct because of the huge gaping hole that has been blown into the credit markets from de-leveraging. But once we do find a bottom, this massive amount of money will go into the market and you will see prices driven through the roof. Also because we rely on foreign creditors to buy our debt to issue our currency, we could see them lose confidence in our dollar and then we will see them jump away from the dollar and it would crash and that would drive prices up for Americans because we import much of our goods. They would price up their import goods because we have been so reckless in issuing our currency to bail out failing institutions that should of failed….period. Gold is money, not credit and it does not owe to anyone. I agree that if we see oil prices stablize in this $70-90 dollar area, we should see earning improve for this sector compared to the environment of $125-150 dollar a barrel oil. Gold Fields is mentioned in this article and they are in a tougher situation because of the continuing issue of power production from Eskom of South Africa. Two of the world’s leading gold miners reported big drops in quarterly earnings on Wednesday as soaring costs for fuel and raw materials ate into margins already narrowed by a slumping gold price.